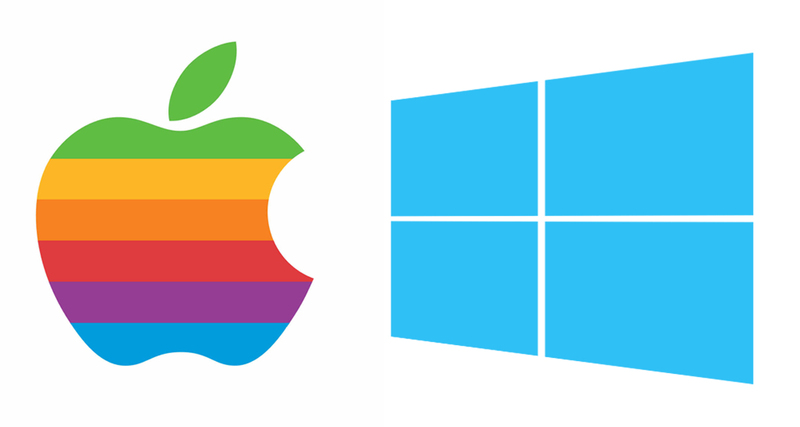 Macs and PCs are mostly a matter of taste and budget, and you can’t go wrong picking either because almost all the popular production apps and plugins are available on both platforms. 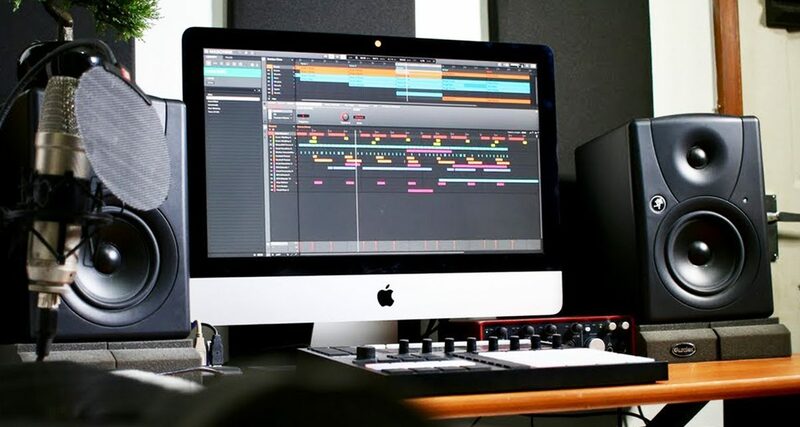 You can’t make music using a spreadsheet – a digital audio workstation is an app whose sole purpose is to let you create, combine, edit and render music. 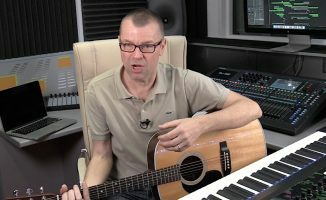 Your computer can do tons of things, but if you don’t have software that’s specifically meant for music production, you won’t be able to make any music. That’s where a digital audio workstation (DAW) comes in. It’s an app that allows you to compose and write music, combine and edit sounds, and then mix them all together using tools and effects called plugins. Once finished, you can then render all of these tracks and sounds into a stereo file which can then be played on any music player, uploaded to SoundCloud, sold on a store like iTunes, or distributed to a streaming site like Spotify or Apple Music. There are lots of DAWs to choose from, and they all have their own distinct characteristics and feature sets. 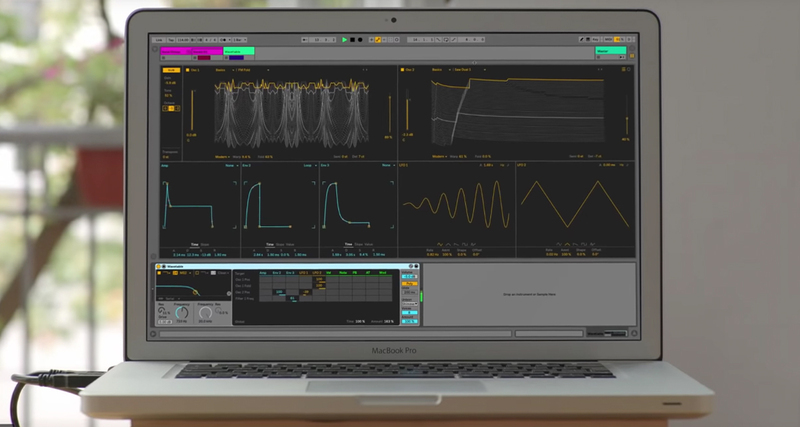 We recommend Ableton Live, FL Studio and Reason which are all available on both Macs and Windows PCs. You can try them all out since they all have time-limited free trials. If you’re a Mac user and you love everything Apple, Logic Pro X is another good DAW, though you’ll have to buy it outright since there is no demo version to download. You might be tempted to buy a Midi keyboard controller or drum pad at this point. We recommend doing this later on once you’ve got to grips with your chosen DAW because adding another bit of kit like this tends to make the overall production learning curve steeper. It also slows down your progress because you have to learn two things instead of focusing on just one. Once you know the basics of navigating and working within your DAW, only then should you think about getting a controller. You’ll need a way to listen to the sounds coming out of your laptop, and we definitely recommend getting a pair of monitors or headphones instead of your laptop’s tinny built-in speakers. You don’t have to break the bank to get decent sound, and you don’t need a lot of space either. 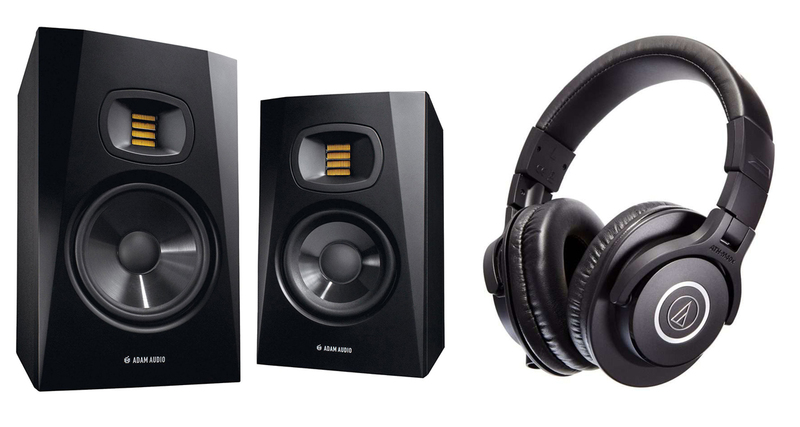 Choose a pair of desktop monitor speakers such as the KRK Rokit 5, the Adam Audio T5V or the M-Audio BX5-D3 which are relatively cheap (the most expensive are the Adam Audio T5Vs which only then come under US$400 for a pair). We recommend that you get speaker monitors if budget allows, but if not go for a pair of studio headphones such as the Audio Technica ATH-M40x. Just make monitor speakers a priority for your next gear purchase. You may also want to consider getting an audio interface. This lets you get sound into your DAW (such as a microphone or a line input device) as well as out of it, letting you control the volume of your speakers and headphones. Capable interfaces such as the Focusrite Scarlett Solo and the Mackie Onyx Artist can handle a variety of inputs and outputs while clocking in at just under US$100. 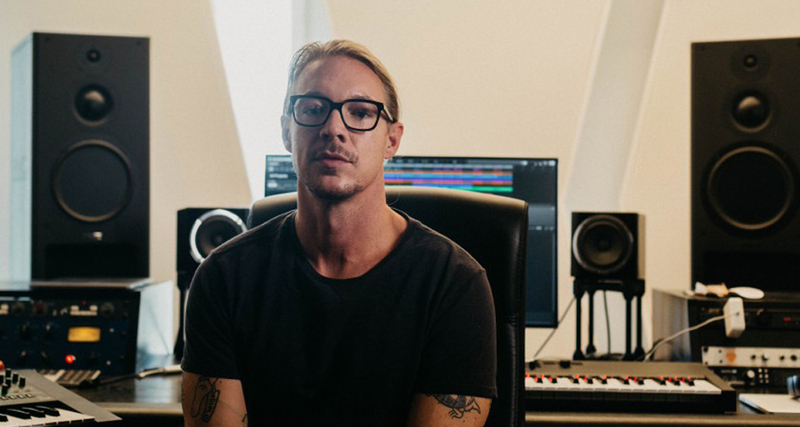 Loops and samples are the norm in today’s dance music, and even superstar producers like Diplo are making their own sounds available to anyone who wants to use them for their own tunes. Your chosen DAW already has stock sounds that come with it such as drums, basses, synths and other instruments. 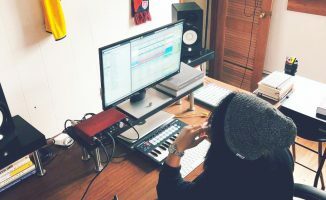 But if you want to make genre-specific tunes, you’re better off getting sounds that cater to the style you’d want to make. 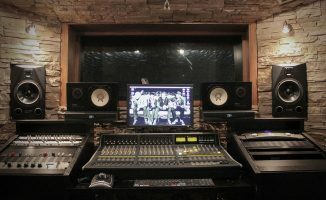 For example, an EDM kick drum sounds a lot different compared to a tech house one, and a hip-hop snare drum sounds different compared to a big room or future house one. This is where loop and sample sites like Splice, Sounds.com and Loopmasters come in. It’s much easier and faster to get the sounds that are specific to the style of music you’re making rather then designing these sounds from scratch, or shoehorning your DAW’s stock sounds to make them sound close to elements of the genre you want to produce. This has been a game-changer for me because access to world-class sounds are just a click away and cost as much as a green smoothie. You don’t need a lot of gear to get started. The coolest thing about this development in music production is that a lot of the barriers of the “old world” of music making have been lowered. These days, it’s the resourceful, agile and creative that get ahead in the music industry, not the ones with the big budgets and “exclusive access” to gatekeepers. In short, the time for you to make your own music is now. Have you started making your own music yet? If you’ve been producing for a while now, what gear did you start out with? Share your thoughts in the comments below. Is disappointing to see how the Linux ecosystem is always ignored in this reviews. Linux is a rock solid OS that delivers a much better performance than Win, I can’t speak for MacOS. We know what our users are using, and cover that. I have a Raspberry Pi box at home to teach my kids programming, but I’m not about to cover it here – practically all our users use Macs and PCs (and iOS/Android), so that’s where we focus.